If you are interested in mirrorless cameras due to the extremely compact body design that allows you to bring the device nearly anywhere conveniently, why not enhance the convenience by having even more smart features? Of course, it just makes sense if your mirrorless camera has various smart functions, as the technology has advanced so far nowadays. 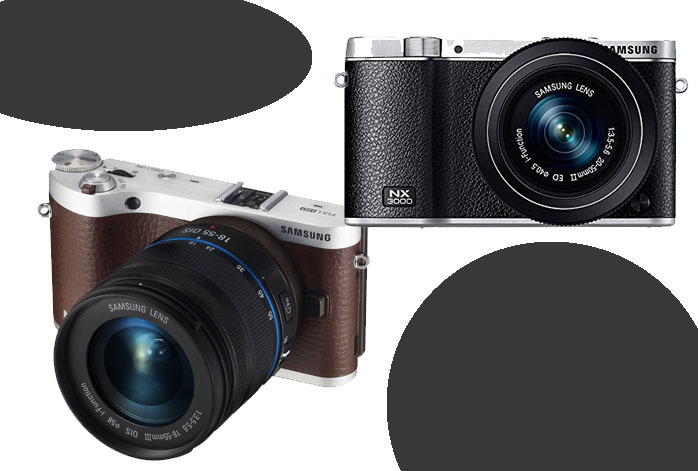 Then, you are most probably considering between Samsung NX3000 and Samsung NX300. These two mirrorless cameras are made by the same manufacturer that already has a universally reputable name. But, then again, while both models are said to have smart features, they are being priced very differently. Thus, the question arises: what is the difference between Samsung NX3000 and Samsung NX300? Telling you some background information, Samsung NX3000 is cheaper, serving as a budget version of Samsung NX300. Hence, there is no surprise that both models come with various resemblances. For sure, both models come with wireless connectivity for easy integration with your other devices and the Internet. Both also comes with smart features: social media upload, e-mail, DirectLink and MobileLink, cloud services, even PC auto-backup and remote viewfinder. So, you can get the whole convenience with either model! Both Samsung NX3000 and Samsung NX300 also have the smart articulating screen that adjusts automatically to your shooting positions. Both models have similar maximum resolutions. Have you read Samsung NX3000 vs Sony A5000? However, being the higher variant, Samsung NX300 comes with a lot more things into the deal. First, it has a touchscreen control, making it easier and more convenient in usage. Second, its display screen is also slightly wider (3.3-inch vs 3-inch) and considerably sharper (it has 66% higher resolution). Third, it can have significantly much better performance and output quality than Samsung NX3000 as it comes with 247 focus points, 1/6000s maximum shutter speed, and 9 fps of photo burst. As a comparison, Samsung NX3000 only has 35 focus points, the pretty regular 1/4000s maximum shutter speed, and only 5 fps of photo burst. Last but not least, Samsung NX300 has much smaller shutter lag time, 0.12s compared to Samsung NX3000’s 0.30s. No matter you are a beginner or an experienced user, you will be delighted by the performance, versatility, and flexibility that Samsung NX300 provides. The price difference to Samsung NX3000 is not exactly like the earth and the sky, anyway. Thus, Samsung NX300 should be your way!